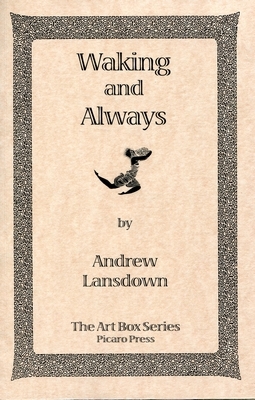 “As has been demonstrated in his earlier collections of verse, the West Australian poet Andrew Lansdown is an imagist of almost unlimited inventiveness. His observant eye can graze, can focus on the tiniest quiddity and make it perpetual, or it can feast on a subject and draw out an inexhaustible wealth of comparison. This new collection shows that his ear is equally acute, attuned to the stretchy voice of a gibbon in the zoo, or to the speech of crabs. Unobtrusively, he is also a master of movement, catching the fine motion of life in supple reflexes of words, and his whole work is informed by a moral integrity which proves, on attentive reading, to be its very spine. “There is in this collection a deep sense of gladness. But there is also grief and yearning, as in the poems ‘The Horseshoe Shooter’ and ‘Far From Home, the Blower’. 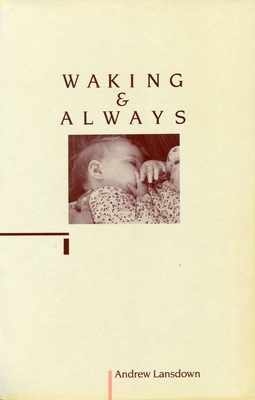 Through their diversity of form and feeling, these poems powerfully communicate the many concerns of this poet. The Art Box Series aims to provide low-cost access to significant Australian poetry titles which, for whatever reason, are no longer generally available to the public. with the hook end of his hockey stick. “It shoots horseshoes,” he says. lobbing neatly onto the peg of the driver’s neck. is a new gift from his grandparents. revising the relationships: Dad’s brother, my uncle. has a brother who is dead. Our father. piping death from the basket of my life. are we safe? “Yes,” I say. on upraised sticks and roots. the mysterious endurance of the powerless. to staunch the flow of beauty from the broken land. good is no illusion—are all that is left to us. Like the spiders, we bind the broken roots. of the dark hardwood table. unsettles the room with roses. its cordage caught on a thorn. with a delicacy that reminds me of death. white, exquisitely veined with pink. of her eyes. The mastery of her! No human design can hide the design in her. brushed by the bright blackness of dreams. spontaneously from an inorganic soup. the facts. The facts, say, of your eyelids. of time and matter. I cannot believe. your body, the wax of His make and moulding. little candle! Burn brightly in the coming night!